This Wrangler Riggs Men's Grey FR3W5 GY Flame Resistant Long Sleeve Shirt looks good on the outside, but the real value is what went into making this long-sleeved work shirt. Although it offers a relaxed fit, this professional men's top doesn’t take it easy on ... (see full details) (see specifications) #WRGFR3W5GY. This Wrangler Riggs Men's Grey FR3W5 GY Flame Resistant Long Sleeve Shirt looks good on the outside, but the real value is what went into making this long-sleeved work shirt. Although it offers a relaxed fit, this professional men's top doesn’t take it easy on the job. Offering tough construction of 100% cotton twill fabric with Nomex FR thread used in all garment seams, it meets NFPA 2112 requirements and NFPA 70E, ASTM 1506 and OSHA Rule 1910.269 standards. It's rated HRC2, ATPV 8.5 CAL/CM2. It even has a Safety Orange outside ID for high visibility. And while you may buy this style for its flame-resistant protection, you'll also enjoy the relaxed-fit comfort and convenient styling with long sleeves and two chest pockets that close with buttons, plus a pencil slot on the right pocket. This Wrangler Riggs Men's Grey FR3W5 GY Flame Resistant Long Sleeve Shirt delivers quality workmanship, comfortable style, and flame-resistant protection. Buy yours today right here at Working Person's Store! I am a welder and have been in the industry for over 10 years, so I have a pretty good idea of the clothing that is needed to stay safe. I ordered this product looking for a uniform style long sleeve shirt that was FR. Upon receiving the shirt the first thing I noticed is how appealing the shirts appearance is. It is very professional looking and light weight. I am tall and thin with long arms. I ordered the large long. If you have long arms like me the tall size is definitely what you would need as if I would have ordered just a large I believe the arms would have been short. I do a lot of out of position welding so the durability of the shirt has held up fine so far after a couple of uses. The only thing I would have liked to have seen was to have the material be a little thicker to hold up better to the hot spatter and debris I encounter. Besides that I am very pleased with the product and it compares well to other FR shirts I have that were more pricey. Hope this helps! I really like this shirt. As with many FR shirts, it's a little on the heavier side regarding the fabric. It gets a little warm on hot days, but the material quality is definitely top notch. This isn't a shirt that will last only one season. This shirt will probably be used for at least a few years which is great considering I wear mine for a week at a time. My only gripe with it is that the sleeve cuff is a little narrow for the size ordered, and there is only one button instead of the typical two. If there is any shrinkage, it definitely won't fit my wrists. I make sure to hang dry it just in case. Love these shirts. Nice and long, fit great, perfect on cool mornings so don't need a FR jacket to go over. Will be ordering these things next time it's time to replace shirts. I would definitely recommend these to friends AND enemies. I'm 6'2" and almost 300 lbs. Normally a regular 3XL fits me well or is even a little large on me. I've always had an issue with sleeves being too short for me on all my shirts, even in my not so hefty days. Work wear from most of the major players usually seems to run a bit bigger in my opinion as well, so I thought 3XL would be fine for me. The Wrangler shirt fit well in the chest/torso area, but the sleeve & overall length was too short. In those areas I would say it fit more like a 2XL, or even an XL.This Wrangler FR shirt is well made & does look nice, so I will be exchanging it for a 3XL Tall. Hopefully that will give me another inch or two. 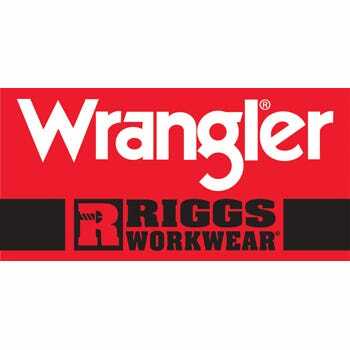 Working the fuel truck industry and we have to wear fr the Wrangler Riggs workwear makes it really really easy I really appreciate the comfortability of the shirt and they look really good day product line is really great they have a selection of colors I really like mine. Wrangler Riggs Shirts: Men's Grey FR3W5 GY Flame Resistant Long Sleeve Shirt is being added to your cart.